Am I sure this is the best translation? Does this sound right and familiar only because I always translated it like that? Does it read like a similar document written by a native speaker of the TL would read? Assignment: read chapters 6 and 7 in "Becoming a Translator", and Chapter 4 of "How To Succeed As A Freelance Translator"
However, I find it interesting that you list Babelfish and Systran as two different options for Machine Translation, yet they both use the same technology. How about including links to SDL's FreeTranslation.com website, which uses SDL's Enterprise Translation Server as its machine translation engine? I mentioned machine translation in the course mostly to warn people away from it. I have just inherited a huge translation contract that could be back-breaking andf will investigate some of the tools suggested here. I would like to add that I will be using voice recogntion (Dragon Naturally Speaking)French prefered edition - apparently this can be used for English as well but the opposite is not true. The last edition is especially performant. How does one use Excell for terminology retrival? I would not used Babelfish but was recommended Reverso Prof. Edition. Is this still valid info? English-French French-English translator in Québec. As regards Reverso, I don't know the program, but I'd generally be wary about any MT program: with some exceptions, in order for them to be useful a lot of preliminary terminological work, pre-editingand post-editing is necessary. As regards Excel: it can be useful to translate software strings, since with a few formulas you can set it up to check for things such as string length, etc. Also, if you have a glossary you were maintaining in Excel, it is fairly easy (though a bit more complicated than can be explained in a blog comment) to use Excel to transform the glossary into a MultiTerm database or even a translation memory... I'll probably explain the steps involved in a future post. Can I create the terminology list in Word or should I try to make it Excell right away? I am getting Dragon Naturally Speaking - French edition. I was told that it also recognises English but I am not sure of that. I will throw Antidote, a very powerful French correction software and hope I can switch the text around without crashing anything. What should I get next as terminology recognition software or any new step? I would do it directly in Excel: Word is really not suitable for something such as keeping a glossary. Start from row 1 column one (i.e., from cell A1). I the first column, cell A1 put your source language, in A2 your target language, in A3 a definition, and, if you want, further fields in the next columns (e.g., context, comments, and so on); then fill the terms as necessary starting from cell B1. As regards the voice recognition programs, I have no experience at all with them: I'm not very good at dictating, and even if I were, there is two of us working in the same room, and dictating our translations would be absolute chaos. 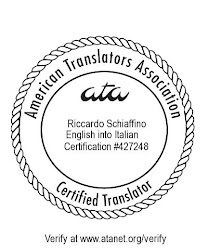 I know translation offices who use them and find them very useful. I would too because I am a lousy typist but a fairly quick translater.I work on my own. Concerning the voice recognition, I was told that you must edit random noise that show up as random words in the text. Someone else also told me that this modus oprandi had to do with existing individualistic cerebral pathways that are hard to retrain.